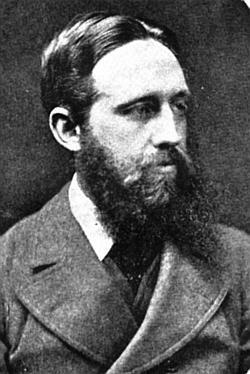 Having recently stuck my toe in the concept of a Victorian post-apocalyptic game (Apocalypse 1898, to be precise), several folks pointed me towards a few 19th century tomes about such a world. 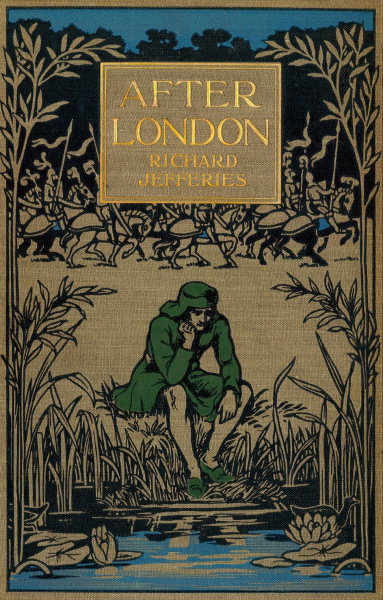 One was called After London, by Richard Jeffries. Written in 1885, this is the book that should have been in Appendix N but wasn’t (at least, I don’t think it was there). The book is set after much of the population of England has, for some reason (it is never explained, though the narrator posits some notion of a comet being involved and then discounts it), moved on. Over the centuries, England (and perhaps the entire world) has fallen back to a level of Medieval technology and society. The first chapters read like a campaign setting – describing how the villages and towns and fields went back to the wilderness, and how the dissolution of London itself created a stinking, deadly morass. The fall of London’s bridges and the build-up of wreckage carried by the Thames has flooded the heart of England, creating a great lake around which much of the English population dwells. They are beset by the warlike Irish (in their ships) and Cymru, fear that the Scots will one day invade, and have to deal with the savage bushmen (descended from the criminal classes) and wandering Gypsy tribes. Jeffries also covers domestic animals going wild. There is no supernatural or paranormal element here – no magic, no mutations, no steampunk – just the world they knew disappearing and a new, more primitive world rising in its place. After the “campaign setting” is discussed, we get into the story of Felix. For our purposes, Felix is a 1st level fighting-man who hasn’t enough wealth to marry his dream girl, Aurora. Like any other good PC, he decides to go out into the wilderness – in this case out on the Lake in a canoe – and score some treasure (and XP, of course). His journey has a few hang-ups and a few dangers – he gets to see “modern” warfare first hand (and is unimpressed), ventures into the stinking ruins of London, and finally finds some friends in the wilderness. Does he ever return to Aurora? Who knows – Jeffries ended the story in what lots of folks would consider the middle. And maybe, for the old school crowd, this is the best way it could have ended. One adventure over, others on the way. Should RPG fans read After London? Absolutely. Although it describes a world more akin to Glorantha than Greyhawk, it does a fine job of making that world real and does an equally good job of describing what needs to be described to “run the game”. It also has a score of ideas that can be used when running a medieval campaign, especially the importance of status and the very frightening plight of people without it, who can be seized under any pretense, stripped of their wealth, and made a slave. Felix despises this world, but also knows enough that he cannot change it and has to work within it if he ever wants to wed his lady love. 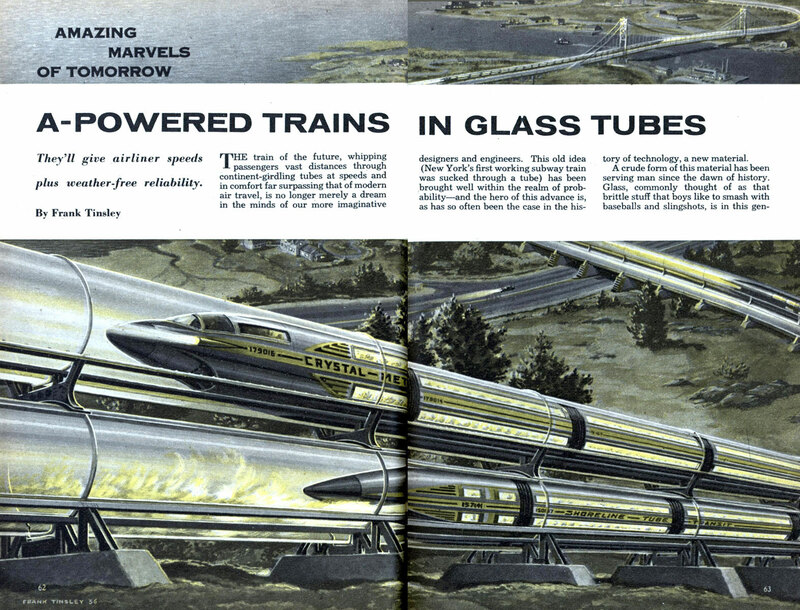 About the only thing I missed in After London – and possibly only because I was reading a version from Project Gutenberg on a Kindle – was a map of future Britain. I was sorely tempted while reading to produce a hex map of the future isle … and maybe if I get enough goading, I’ll actually do it. Apparently, it is Blogger Appreciation Day. So, just wanted to say thanks to all the various bloggers I read and enjoy, from old school (and sometimes new school) RPGs to economics to art and design. We live in an age of wonders when people from all over the world can come together in real time and argue about crap like ascending vs. descending AC, ability limits based on gender, the wisdom of level limits and whether or not alignment languages are stupid. Also – in case you are interested – Lulu is doing a 29% off Leap Day sale. If you’ve been thinking about a purchase from me or any of the other fine folks who sell their wares on Lulu, today is probably a good day to take the leap! The nomes are akin to the fey oumphs, and dwell underground with them, sometimes cooperatively, but just as often in opposition. They are natural miners, with eyes that can pierce the blackness of the underworld as easily as human eyes can pierce the daylight; however, in light they are just as blind as a human is in the dark, and must shroud their eyes or use spells of darkness to see even dimly. Nomes are short, standing only 2 to 4 feet in height (1d3+1). They have spindly arms and legs and skin that ranges from flinty grey to rust brown in color. Their eyes, like little black beads, sparkle in light or dark, and give them a look of conspiracy. Nomes are easily agitated and can fly into a rant or a rage at the drop of a hat, though the more adventurous of the race are moderately better at controlling their temper. They cover themselves with tattoos (really more akin to engravings), and from these tattoos they draw mystic powers. Nomes adventure in search of “the mother lode” that will make them wealthy and powerful. They adventure with a mind to one day constructing a grand fortified mine, settling down, having children and amassing an army of nomes to do their bidding. They call this “the plan”, and most things they encounter are either “all part of the plan” or “not part of the plan”. When a nome is happy, they’ll muse that, “oh yes, the plan is coming along nicely”. The fact that most folk do not know what “the plan” is, paired with the conspiratorial look in their eyes, makes most people suspicious of nomes. As mentioned above, the nomes can see without light, but do not see well with light. In bright light, they must fight blind unless they have their eyes well shaded, and even then suffer a -1 penalty to hit. Their skin is tough and thick, and provides them a +2 bonus to AC. Nomes have a knack for noticing odd stonework and construction, as well as a knack for finding more cunning traps, picking locks, and sniffing out deposits of copper, silver and gold. Their small size prevents them from using large weapons. Finally, nomes can sense vibrations in the stone, and thus can only be surprised on a roll of 1 on 1d10 while underground. Prime Requisite: Constitution, 13+ (5% experience bonus). Nomes are tough little buggers. Hit Dice: 1d6+1 (2 hp per level after 9th level). Nomes live a rugged lifestyle, and often come into conflict with other species underground (due to the need for living space as much as their irascible personalities). They are not as militant and well-trained, though, as the Oraenca. 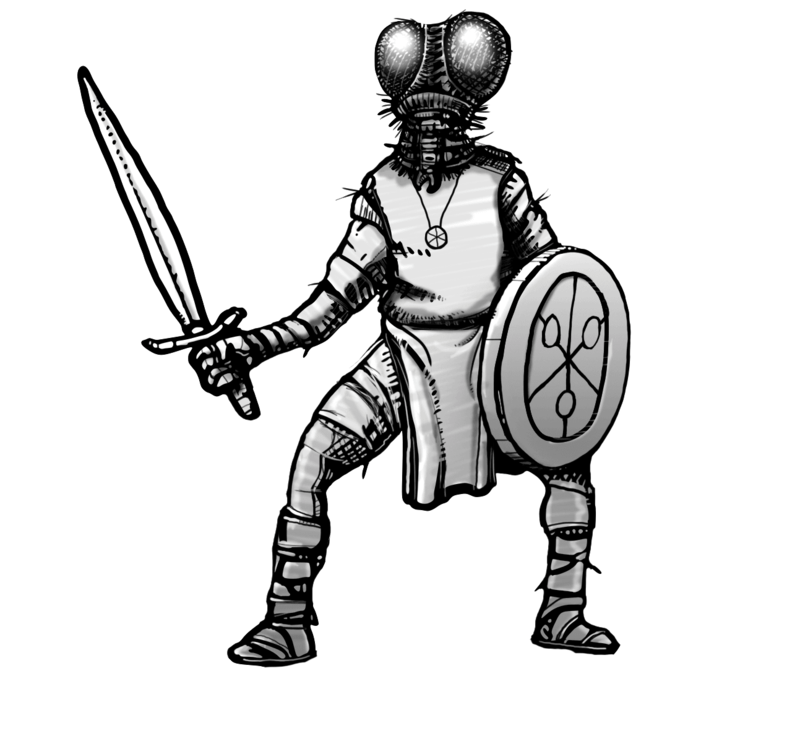 Armor Restrictions: Nomes can use any type of armor, though they prefer to avoid heavy armor because it makes movement through the underworld more difficult. Weapon Restrictions: Nomes can wield clubs, daggers, flails, maces and swords without trouble. Axes and spears require the use of two hands, and two-handed swords and pole arms are just too large for them. They can use any ranged weapon, but prefer crossbows and slings. Special Abilities: Nomes are magical folk, though not as skilled as the Caledjula or Nif in the working of spells. Nomes can use cantraps (level 1 to 3 spells) without any difficulty and using the normal magic rules. Nomes can cast invocations (level 4 to 6 spells) only by engraving sigils into their skin. These spells can only be spells that affect the nome personally, and once engraved, they can be invoked at any time using the normal spell check mechanism but with a +2bonus to their spell check. Nomes can likewise work rituals (level 7 to 9 spells) into their skin, powdering the necessary gemstone into their engravings. They must re-apply the crushed gemstone once per month to keep the sigil active and energized, but while it is energized, they receive the same +2 bonus to their spell checks. Nomes are doughty men and women, and their irascible personalities are not inclined towards fear. Whenever a nome must save against fear, there is a 3 in 6 chance that they ignore the fear effect and instead fly into a raging fit. While throwing this fit, the nomes focus their attacks (and are unable to use spells) on the source of the fear. They gain a +2 bonus to hit and damage for 1d6 rounds plus their constitution bonus. At the end of their fit, they are exhausted and must now roll their saving throw against fear. Needless to say, folk who know nomes well take great pains to avoid startling them. 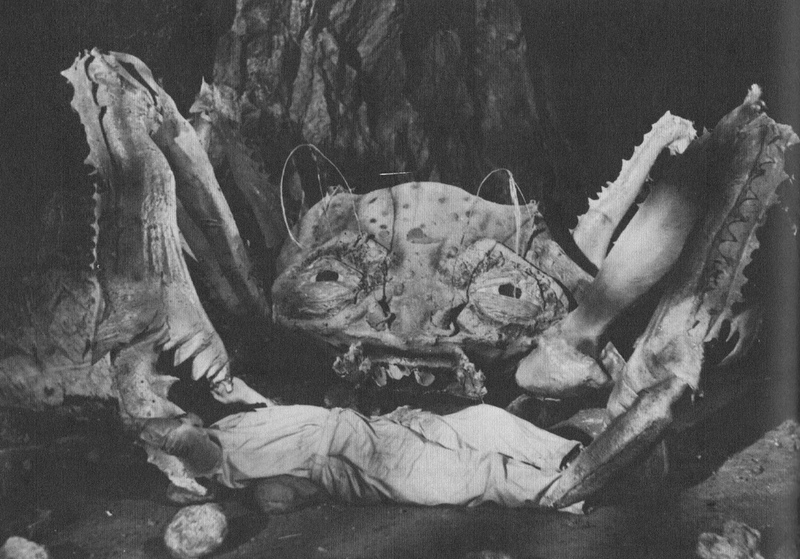 I’m working my way through the public domain sci-fi/horror movies on Pub-D-Hub, and last night I took in Roger Corman’s Attack of the Crab Monsters (1957). Spoilers are a comin’, so be warned. 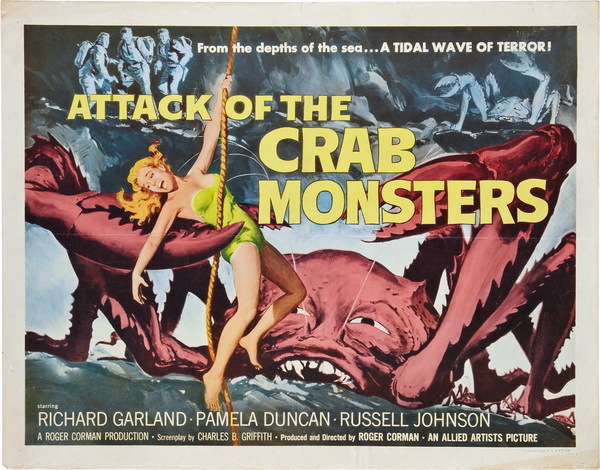 The combination of “Corman” and “Crab Monsters” doesn’t fill a person with much hope. The monsters, I assumed, would either be men in rubber suits or green-screened crabs made to look giant harassing a bunch of strangers, etc. I have to say I was pleasantly surprised. 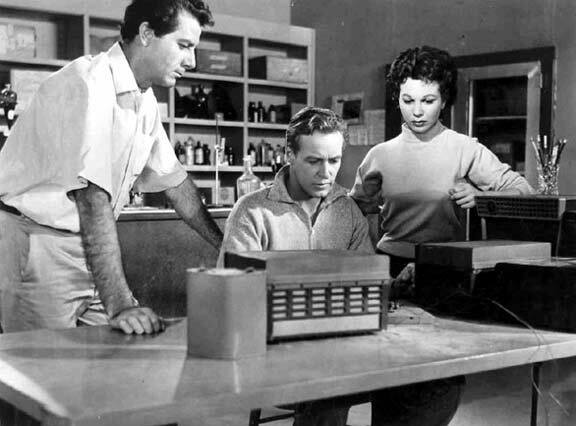 It is a movie in the sub-genre of “group of people menaced by monsters, dying one by one”, but had some pretty clever details – oh, and one of the characters is played by Russell Johnson, better known as the Professor on Giligan’s Island! The “crab monsters” in the title weren’t what I expected. They were giant crabs altered by atomic tests on an island. As it was described in the movie, they weren’t just enlarged crabs. Their atoms had been detached from one another in such a manner that they were in a semi-liquid state – liquid given a permanent shape. 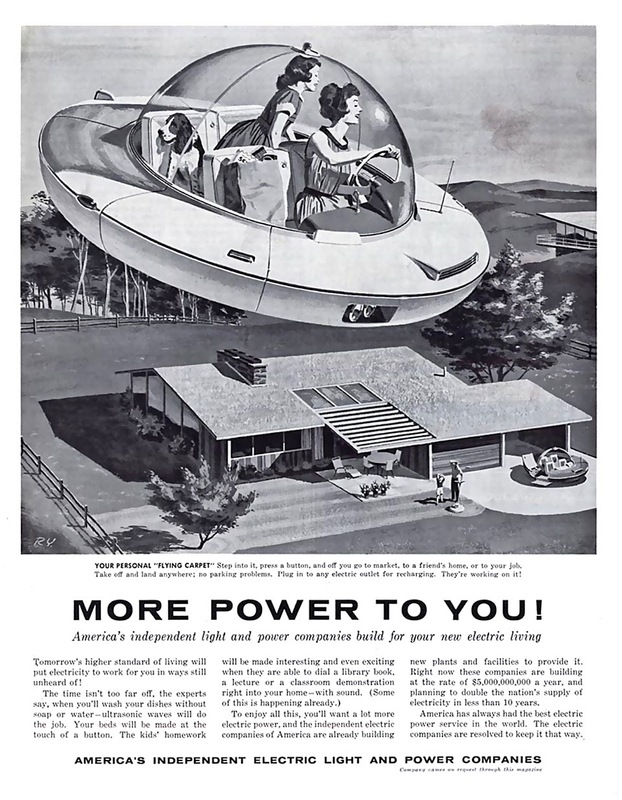 Their weird atomic structure has given them additional abilities. When the crabs consume people, their atoms simply join the crab’s atoms, making them a sentient part of the crab. Several people’s minds and memories can exist within the crab simultaneously, and though they retain their memories, their personalities change. They now seek the continued survival of the crab, even if that means killing former friends. The crab’s are also capable of transmitting telepathic messages via bits of metal, these messages being in the voice of the people that have absorbed. The crabs can regenerate body parts and generate significant amounts of heat, but electricity turns them quickly to dust. The giant crabs, there are two in the film initially, are intent on destroying their island to keep people from discovering their existence. One of them is “with child”, and once the crabs have increased their numbers under the waves, they plan on expanding their dominion. 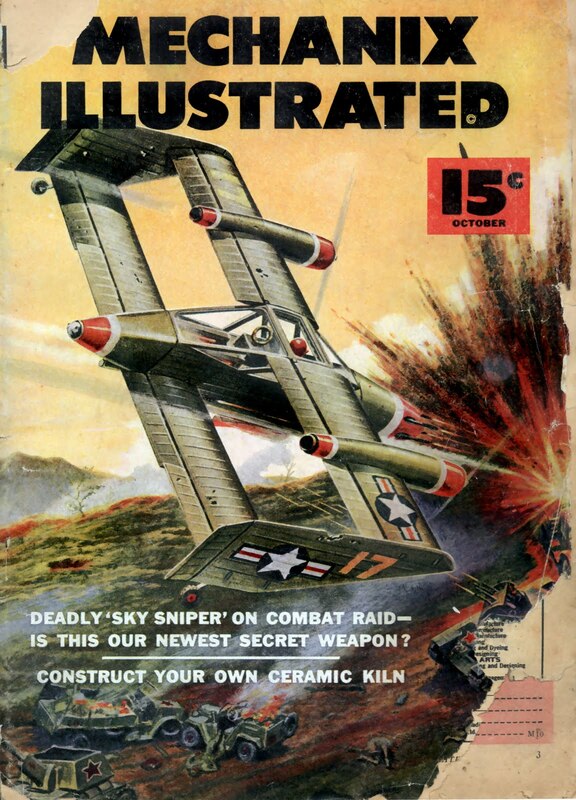 They are destroying the island using dynamite they have captured from the various groups of soldiers and scientists that have come to investigate an aircraft that crashed near the island. Naturally, a monster this creative needs some game stats! HD 6; AC 14; Atk 2 claws (2d6 + grapple); Speed 30 (Swim 20); Save F6, R7, W10; XP 600; Special: Immune to fire, generate heat, resistance to physical weapons, vulnerable to electricity, consume memories, telepathy 300-ft. (transmits through metal). Crab monsters can generate heat in a radius of 30 feet. This can be done three times per day and 10 minutes at a time, and all in the radius suffer 1d4 points of damage per round. Metal in the area of effect is affected as per the heat metal spell. When a crab monster consumes a person, they add their mind to their own. These minds remain independent, but are now part of the crab and work for the crab’s survival and interests, even turning on former allies. The crab can correspond telepathically using the voices of the people it has consumed. Increase the crab’s Mentality score to that of the highest Intelligence it has consumed. Any psychic powers possessed by a person consumed by the crab monster are now possessed by the crab monster. Crab monsters are immune to fire and heat, and suffer only half damage from lasers and ray guns and from physical attacks. Electricity attacks inflict double damage on them. Crab monsters absorb the KNO and MEN of people they consume, increasing their values to the highest value they have consumed. They also absorb the psychic powers and knowledge-based skills of people they consume, though they might not be able to use these skills due to physical limitations. Crab monsters communicate telepathically using the voices of the people they have absorbed. This telepathy can only be heard through metal. 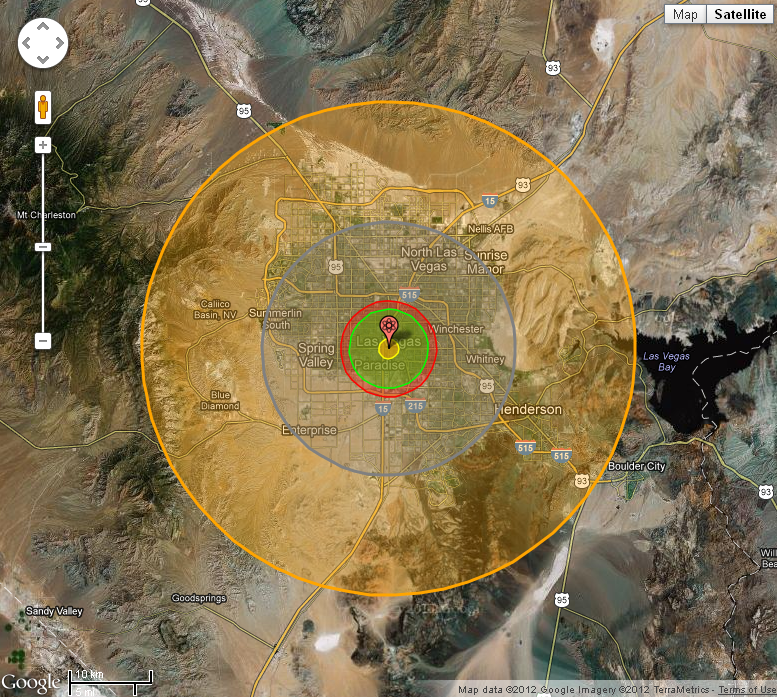 What would happen if your hometown was hit by an atomic bomb (or ICBM, if you prefer)? This is the site to find out. Pick the place and pick the yield, and let GoogleMaps do the rest. Also useful for dirty bomb-using terrorists in an Action X or Mystery Men! game. Would have been very handy when I was doing Mutant Truckers. 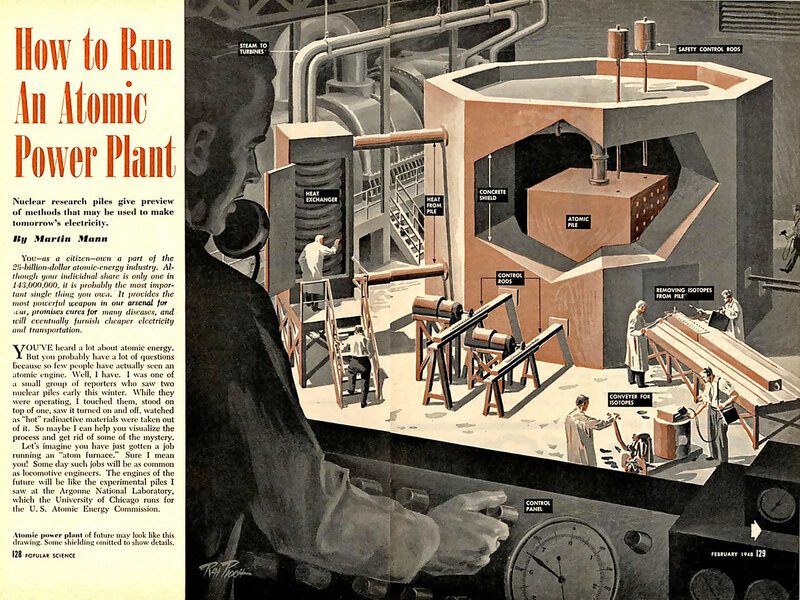 This blog is all about images from the atomic age – lots of good material here. 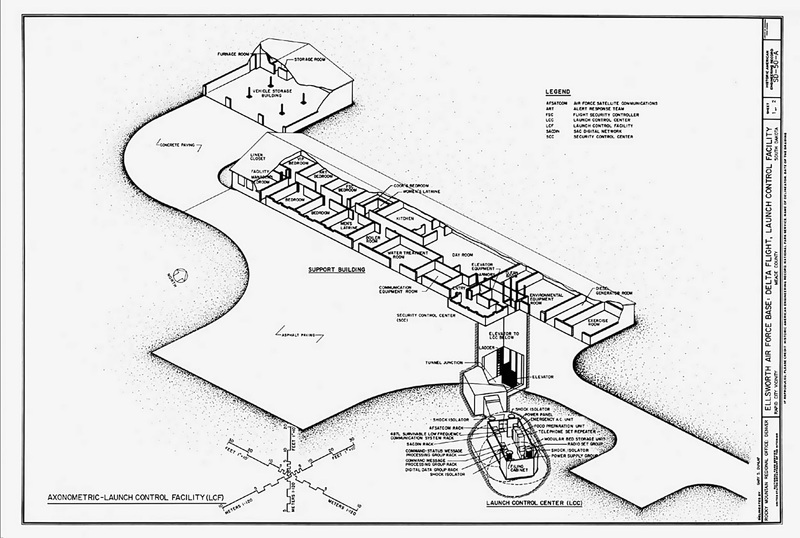 In particular, Mutant Futurists might like the plans to the missile base! 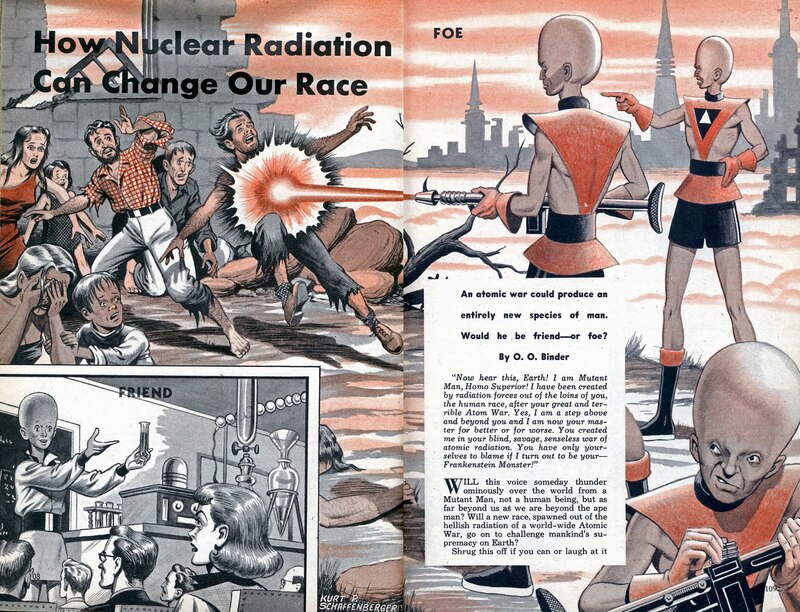 Most post-atomic war apocalypse games assume a higher level of technology from the ruined civilization of the past. 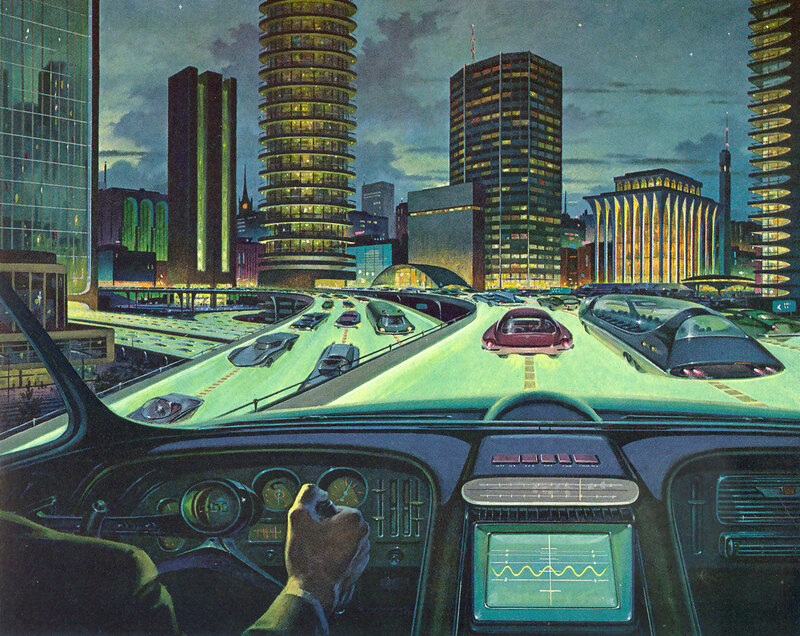 How many use the wondrous technologies of the “retro-future” I wonder? Here are some images to inspire you, from an article at UltraSwank. Probably the last Gehenna preview until NOD 13 hits the virtual shelves – having an extra day this February is going to help. Other articles slated for lucky number 13 include Shades of Red (the variant red dragons), Hero vs. Villain (stats for Zanzibar the magician and the speed demon Greymalkin – and an adventure seed as well), a crop of Demon Lords, Epic Journeys (a series that will lay out the concept of a 1st level to 20th level campaign centered around an epic level monster, in this case the Anaxim), the rules to my card game Greatsword, the Evolutionary PC class (with some sweet art) and a few new magic helms. 80.28 Nathox: Nathox was once a splendid town of 1,000 Xshayathian ophidians under the command of the glabrezu Keirzer the Dreadful. It is now besieged by an army of demonic centaurs and erinyes that marched into Gehenna from Stygia. Powerful magics from the centaurs and their leader, Erichtho (Mage 17; 43 hp), the Stygian witch and a servant of mighty Dagon, Prince of Stygia, who seeks the soul of the damsel Beatrice, stolen by rebel erinyes. Erichtho wields the horn of an ancient white wyrm, using it to freeze the once blazing city, encasing the walls in ice and causing all of the fires in the city to sputter and die – they now produce nothing but thick, acrid smoke. 87.76 Black Dogs: This hex is patrolled by packs of gaunt, black dogs. The dogs are about the size of terriers and are capable of emitting a terrible shriek before attacking (save vs. fear or flee for you drop). The strange beasts are only harmed by holy symbols (which are pretty pathetic weapons) and divine magic. They have 90% resistance to arcane magic and even magic weapons only harm them 90% of the time. The dogs were summoned by an unfortunate wizard using a small book bound in black leather. The book was stolen from the camp of Paymon, and may contain other weird summonings. 88.73 Monastery of Madness: There is a monastery here that looks like it might have been dreamed up by Salvadore Dali – all abstract shapes and weird lines. The monastery is dedicated to Azathoth, the Slaad Lord of Madness, and is staffed by a priesthood of walking slimes and overseen by a balor demon called Karum, Bringer of Madness. Karum looks as though his flesh is melting from his body, and he leaves a trail of slime that, if it puddles, has a 1 in 6 chance per turn of animating as yet another walking slime. At the heart of the monastery, if one can find it through the shifting corridors and many pit falls, there is an idol in the form of a black sphere that gives off a strange humming noise (like a theramin) and great arcs of electricity (1 in 6 chance per round of striking a random person within 30 feet with a 3 dice lightning bolt that also steals their soul unless they pass a saving throw). Rumors speak of a vault beneath the idol holding all manner of relics and riches. The idol is surrounded, at a distance of 35 feet, by six hepatizon pedestals. A thief can work out that they are triggers that must be weighted down with 100 lb. each to be triggered. If this is done, the would-be tomb robbers get a nasty surprise. Instead of discovering a treasure vault, they instead are drained of 1d4 levels, their life energy passing into the black sphere, which shatters and is sucked inward into a umbral blot that has been summoned to wreak havoc in Hell in service to mighty Azathoth. 92.42 Calepp: Calepp is a grand city of ruby spires inhabited by the 1,000 Lamuresti elves. The city is constructed of ruby-colored crystal and blocks of brass, each one a bas-relief of a beauteous elf. From the walls of Calepp, the elves sing terrible chants that echo across the metallic sands, mourning the kidnap of the Princess Ninsab, daughter of King Barimu (Fighter/Mage 10; 36 hp). The elves are especially enraged that Barimu has launched no counter attack against the gnolls [90.76] who took her. He is currently enchanted by Eshkit (Duelist 11; 35 hp), a rakish woman who is actually a doppelganger in service to Mammon, sent to spy on these elves who worship Mulciber above all other demons. She has carried a magical garnet into the city and has secreted it in Barimu’s treasure chamber. The accursed garnet has not only stolen Barimu’s heart and will, but is spreading a wasting curse (per mummy rot) through the elves of the city. Not every warrior in the universe is a star warrior. Quite a few – maybe most warriors – hail from less advanced planets, or have even found themselves transported astrally or bodily through time from a less advanced society. 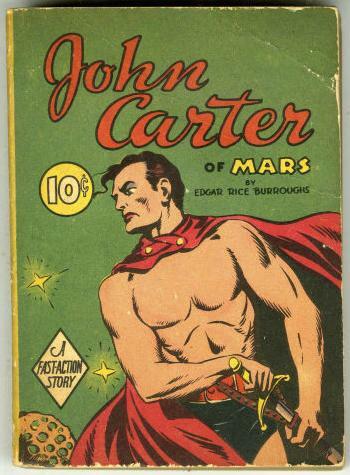 These men and women are called primitives, and they are no less heroic for not having studied practical astrophysics or 25th century literature. Primitives love to throw themselves into hand-to-hand combat. They score double damage with their fists or hand weapons, and enjoy a +1 bonus to initiative. 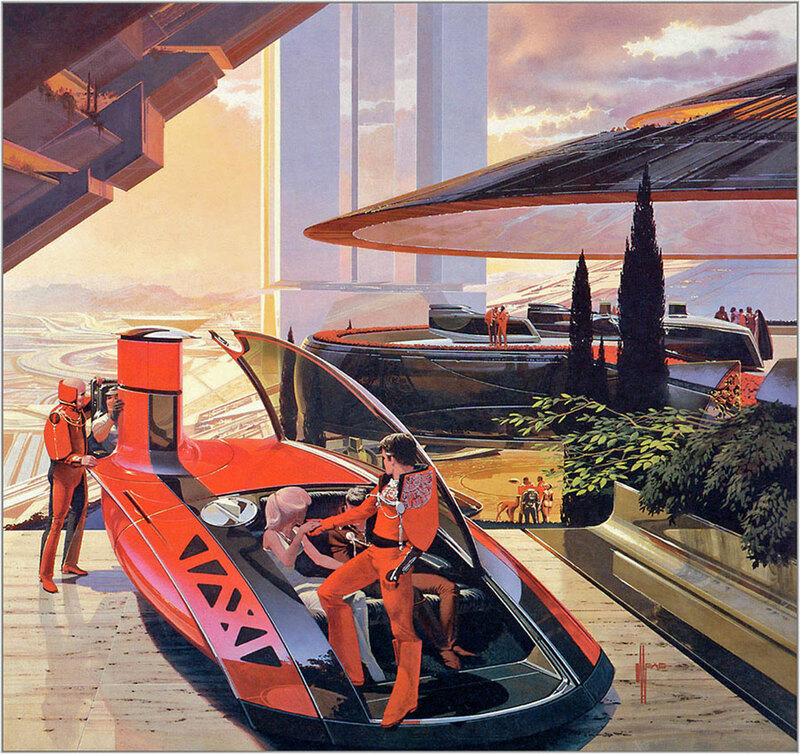 Unfortunately, primitives are quite unfamiliar with the futuristic technology common in Space Princess. 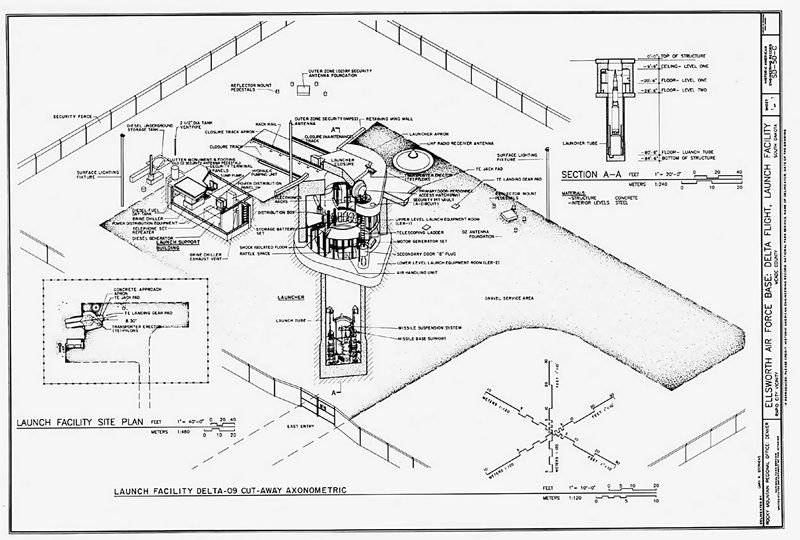 They suffer a -5 penalty to use super science; the penalty either applies to a test to activate or repair the technology or as a penalty to hit with super science weapons. Each time a primitive is exposed to super science, they afterwards can attempt a KNO test (DC 15). If successful, they reduce their penalty by 1 point, and can eventually eliminate the penalty completely. The complexities and wonders of space are nothing when compared to time! The time traveler is an expert in quantum mechanics who owns a “quantum device”, also known as a time machine. Time travelers need not be from the “present” of Space Princess – they could be from the far future or even the distant past. 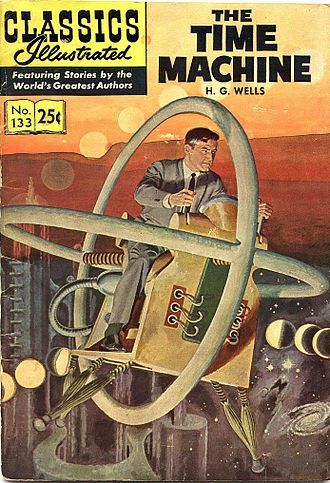 There are rumors that a gentleman scientist living in 1895 created one of the first time machines. Time travelers have four tricks they can perform with their quantum device. Each one requires a Quantum Mechanics test. Failed tests can be re-tried as many times as the time traveler likes, but the quantum device can be safely used three times per day. Each additional use has a 1 in 6 chance of opening a time rift (see below). Dimension Door (DC 20): The time traveler can move through a rift in space up to 30 feet away. Any attempt to slide into a space taken up by another physical body results in failure. This can be combined with a Leap Forward in time by increasing the DC by 2 for every round of time to be displaced. The distance one moves with a Dimension Door can be increased by 5 feet for every 1 point increase in the DC. Leap Backward (DC 15): The time traveler leaps backward in time, materializing within their own body. This has the practical effect of giving them a “do over” on some action they have just attempted. Leap Forward (DC 15): The time traveler leaps up to three rounds ahead in time. Essentially, they disappear for 3 rounds and then re-appear in the exact same spot, in the exact same position, three rounds later. Each round the time traveler wishes to add to this duration increases the DC of the test by 1. Time Stop (DC 25): You make time cease to flow for everyone but you. You are free to act for 1d4+1 rounds of apparent time. You can still be harmed by energies that were already in effect (i.e. by walking through a laser beam that has been frozen in time). While the time stop is in effect, other creatures are invulnerable to your attacks. You cannot move or harm items held, carried, or worn by a creature that has been time stopped, but you can affect any item that is not in another creature’s possession. You are undetectable while time stop lasts. 1-2. The rift opens and a carnosaur steps through to savage the time traveler and his allies. 3-4. The rift opens and 1d6 morlocks step through to menace the time traveler and his allies. 5. Each creature within 30 feet must pass a MEN test or be thrown 1d10 rounds (roll for each creature) into the future (per the leap forward ability). 6. The temporal energies of the rift alter the people within 30 feet of it. 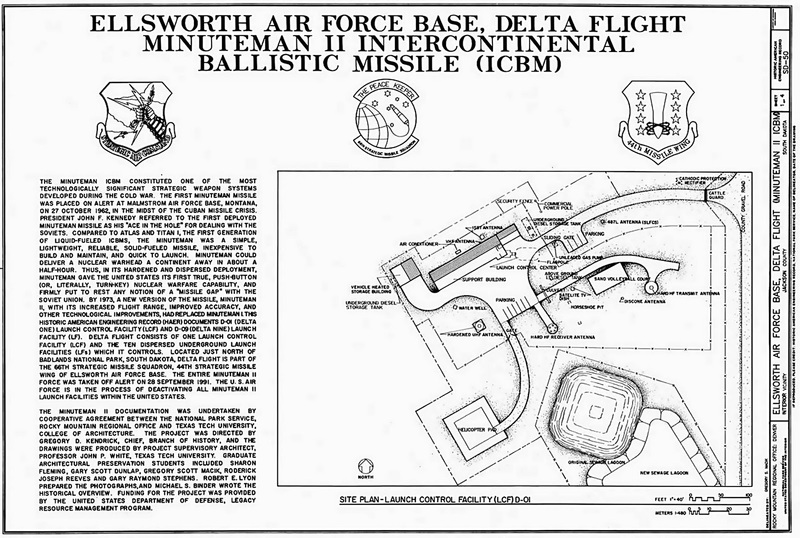 Each person must make a MEN test (DC 20) to avoid these alterations. Those who are altered either become brutish cave people (i.e. change class to Primitive) or evolve into mental supermen (i.e. change class to Esper). My main goal in Blood & Treasure was to use as much of the treasure (i.e. creative ideas as opposed to rules rules rules) in the SRD as I could. Now, there are plenty of things in the SRD that, deprived of one rule or another wilt and die. Most of the prestige classes fit into that category, for example, and there were a few spells, feats, etc that just could not make the leap. At this point, I’ve written 90% of the game, needing only to write down some ideas on creating dungeons and on running characters through the wilderness and city. Almost all of this material comes from the “core” SRD and the psionics material (a few classic powers turned into spells and some of the classic monsters). That leaves me with two more “books” – Unearthed Arcana and the Epic Level Handbook. The Epic Level Handbook I’m mostly ignoring, though I am poaching a few monsters and cutting their Hit Dice and Armor Classes in half (or close to it). They’ll work well with 20th level adventurers. Unearthed Arcana is primarily about alternate rules systems, and since B&T is intended to work with most classic forms of D&D and the retro clones, those systems are of no interest to me. That leaves some of the variant races, classes, etc. The variant races are not terribly interesting to me, to be quite honest, and could probably be hand waived by a Referee. Since B&T is clocking in at around 270 pages, I really don’t want to devote any of those precious pages to desert halflings or fire dwarves. (Crap, just writing fire dwarves makes me want to include fire dwarves … must resist). The variant classes, on the other hand, gave me an idea. Why not, to show how easy it is to make a variant class, include one for each of the main classes. In the case of magic-users, I already have the specialist mages. In the case of clerics, it gives me something to do with the cleric domains, using their granted powers as a way to make specialty priests. The fighter gives me a chance to do a quick and dirty conversion of the dwarven defender, recasting it as simply a defender. For the paladin, the blackguard (I’d go with anti-paladin, but I’m not 100% sure that wouldn’t get me in trouble – at your table, call it whatever you like). Some Referees and groups of players may feel uncomfortable about having an assassin in their midst, especially if the party is to include a paladin or other lawful characters. Feel free to use the bounty hunter as a slightly less “evil” version of the assassin. The bounty hunter replaces the assassin’s 5th level death attack with a “knockout punch” attack. The attack works in the same manner, but the result is unconsciousness for 1d6 turns instead of death. The bounty hunter learns to cast spells from the ranger spell list instead of the assassin spell list. The clerics presented above are fairly basic agents of Law and Chaos, or, in the Medieval sense, of God and the Devil. One can expand the horizon of the cleric by using specialty priests of different deific domains. Each domain corresponds to the portfolio of a god or goddess and gives the specialty priest a special power that can be used in place of the traditional cleric’s turn or rebuke undead ability. Specialty priests can be neutral as well as lawful or chaotic. AIR: A deity of air might be a deity of the sky and heavens, such as Jupter, Zeus, Anu or Varuna, or a more minor deity of a particular wind. Air priests can turn or destroy earth elemental creatures. ANIMALS: Priests of animal deities might be dedicated to a particular animal like Bast, goddess of cats, to animals in genral, or to deities of the hunt, like Artemis. Animal priests can speak with animals at will. CIVILIZATION: Deities of civilizations might be lawgivers like Marduk of the Babylonians, founders of great civilizations, like Romulus of Rome, or simply the patron deity of a city or kingdom. They are almost always lawful deities. A civilization priest can use calm emotions once per day and gains a +2 bonus to all reaction checks. DEATH: While death deities are usually considered chaotic, mainly because living creatures have a general disregard for dying, they need not be chaotic. Hades was one of the kings of creation, along with his brothers Zeus and Poseidon, and thus arguably a lawful deity. The demon lord Orcus is also associated with death, via his control of the undead. Death priests may use a touch of death once per day. They must make a successful melee attack against an opponent and roll 1d6 per cleric level. If the roll is higher than the target’s current hit points, they die with no saving throw. EARTH: Earth deities run to the deities of mineral wealth, like the Roman Plutus, deities of stone and earth, like the Egyptian Geb, and deities of the land, like the Chinese Tu Di Gong. Earth priests can turn or destroy air elemental creatures. EVIL: Deities of pure evil or primordial chaos are quite common in mythology and religion. For pure evil, there is, of course, Satan in all his guises in the Abrahamic religions, a primordial deity like Tiamat, or a fictional deity such as H.P. Lovecraft’s Azathoth. Evil priests can smite lawful creatures as a paladin smites chaotic creatures. FIRE: Priests of fire include priests of hearth deities (who are usually lawful), priests of the element of fire (who may be neutral) or priests of hellfire (and thus chaotic). Fire priests can turn water elemental creatures instead of turning undead creatures. GOOD: Deities of good are always lawful, and include such heroic deities as Mithra of the Zoroastrians (or Mithras, his Greco-Roman incarnation), archangels like Michael, or saints, such as Cuthbert or George. Priests of good can smite chaotic creatures in the same manner as a paladin. KNOWLEDGE: Deities of knowledge are often also deities of magic, the Egyptian Thoth being a good example. One might consider some saints, like the Venerable Bede, as a deity of knowledge. Priests of knowledge have the same abilities as sages (see Henchmen below). LOVE: Gods and goddesses of love may be gentle and kind, and thus lawful, or lustful and passionate, and thus chaotic or neutral. A priest of love is probably chosen as much for their charisma as for their wisdom. Love priests can, once per day, make a charisma skill check with a bonus equal to their cleric level. MADNESS: Deities of madness are always going to be chaotic in nature. They might include the fictional Nyarlathotep created by H.P. Lovecraft or the Greek demigoddesses known as the Mania. A priest of madness gains a +2 bonus to save vs. mind control, and can cast confusion once per day. PLANTS: A plant priest is not unlike a druid. Plant deities are sometimes wild, like Dionysus, the god of wine, but often they are associated with fertility and agriculture, like the Germanic Freyja or the Greek Demeter. Plant priests can rebuke or command plant creatures. STRENGTH: Deities of strength are often deities of heroism. Heracles, the Greek demigod, is probably the most famous deity of strength, but there is also the Roman goddess of strength, Strenua, and the daughter of Thor, who was called Thrud. Once per day, a priest of strength can gain a bonus to a Strength skill check equal to their cleric level. SUN: Though sun deities are usually lawful, peoples who inhabit extremely hot climates may cast them as chaotic. The Egyptians, for example, had lawful Ra, the god of the morning sun, and chaotic Set, the chaotic god of the noonday sun. Sun priests may only attempt to turn undead three times per day, but once per day, a sun priest can destroy undead with a successful turn undead check instead of just turning them. TRAVEL: Deities of travel are often also deities of communication and merchants. Some examples include lawful Mercury of the Romans, and chaotic Eshu of the Yoruba of West Africa. For a total time of one round per level, priests of travel can operate under the effects of the freedom of movement spell. TRICKERY: Trickster deities are rarely lawful, but they need not be chaotic. Some tricksters simply balance the playing field between man and god, or keep the gods from becoming too egotistical, such as Raven of the American Indians or, to some extent, Monkey of Chinese mythology. Others are true agents of chaos, such as the Norse Loki. Trickster priests add hide, move silently and legerdemain to their class skills. WAR: War is one of the oldest human endeavors, and most pantheons contain one or more deities of war. War gods include the chaotic Ares and Tezcatlipoca and the more lawful Athena and Tyr. War priests can use edged and piercing weapons. WATER: Water deities are usually divided between deities of the oceans and seas, lile Susanoo, Aegir, Mananan Mac Lir and Neptunus, and the lesser deities of fresh water. Water priests can turn or destroy elemental fire creatures. WEATHER: Weather deities are fairly close to air deities in form and function, and one could argue that Jupiter and Zeus are more associated with lightning than with the sky for many people. Some thunder gods have managed to survive in popularity into modern times, such as Thor in comic books and Raiden in video games. Weather priests add survival as a class skill, and add lightning bolt to their list of third level spells. The druid intercedes between humans (or demi-humans or humanoids) and the natural world. The beastmaster is part of the natural world, dwelling apart from civilization and maybe having even been raised by animals. Beastmasters gain the AC and movement bonuses of the monk and the favored enemy ability of the ranger, but lose the ability to use armor and shields and the druid ability to change shape. The paladin is a champion for law, and while the assassin is something of a champion for chaos, they do not fit into the traditional role of the black knight. Note, “blackguard” is traditionally pronounced as “blaggard”. 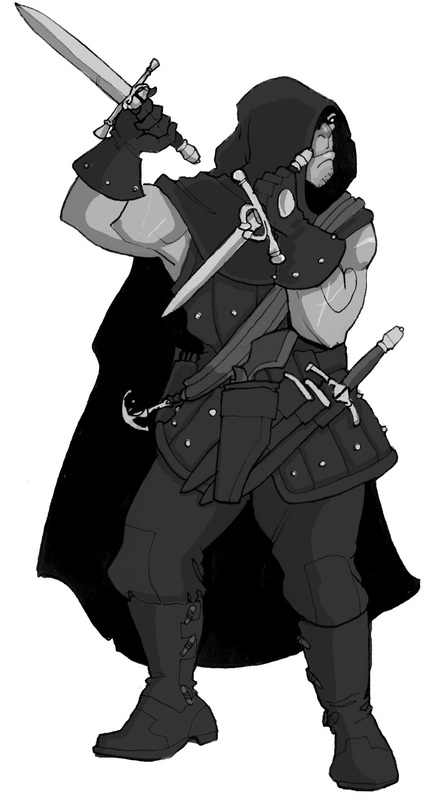 The blackguard is, for all intents and purposes, the opposite of the paladin. Any ability of the paladins that works against chaotic creatures works against lawful creatures for the blackguard. Instead of healing with their laying on of hands ability, blackguards inflict damage. Where paladins cure disease, blackguards cause disease. Blackguards retain the paladin’s immunity to fear. Blackguards must do all in their power to glory in the seven deadly sins: Avarice (take all, share nothing), Gluttony (take more than you need), Lust (take what you desire), Envy (nobody should get something I do not), Wrath (give into hate), Sloth (let somebody else do the work) and Vainglory (tell everybody just how wonderful you are). Failing to wallow in the seven deadly sins at every opportunity has the same effect on a blackguard that breaking his code has on a paladin. Warlocks are, depending on one’s definition, the male form of witches or simply another term for a male spell caster. 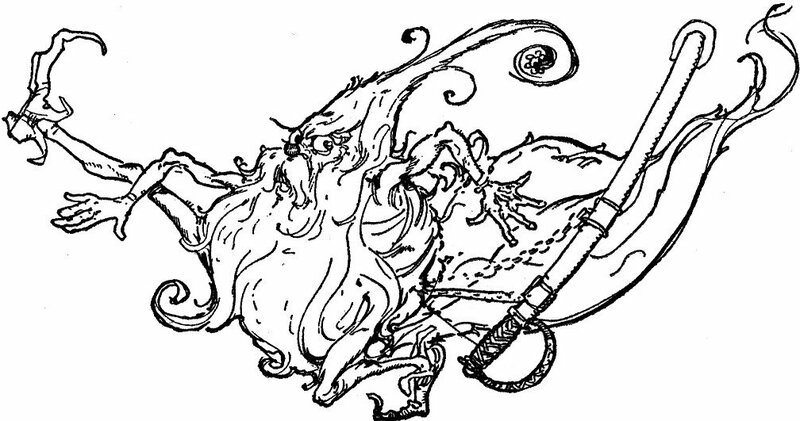 This version of the warlock merely draws inspiration from the first syllable of the name, turning the sorcerer into slightly improved combatant. A warlock loses one daily spell per level and one spell known per level. In return, they roll 1d8 for hit points and may use up to leather armor and wield the following weapons: Battleaxe, club, dagger, flail, hand axe, heavy mace, heavy pick, kukri, light hammer, light mace, light pick, longsword, morningstar, rapier, sap, scimitar, short sword, sickle, spear, trident and warhammer. If you treat these as classes, that would bring the class total in B&T to13 normal classes and 12 variant classes (no variant for the duelist yet), for a total of 25. This, along with multi-classing and the ability of humans to switch classes should give folks who are big on options plenty to work with, while the lower power levels should keep “min-maxing” to a minimum. If you’re really itching to be a troll bounty hunter/warlock, though, and you have a Referee who is willing to allow it (and are willing to put up with a pretty severe level limit), you’re good to go, and hopefully will not overshadow the human fighter standing next to you. 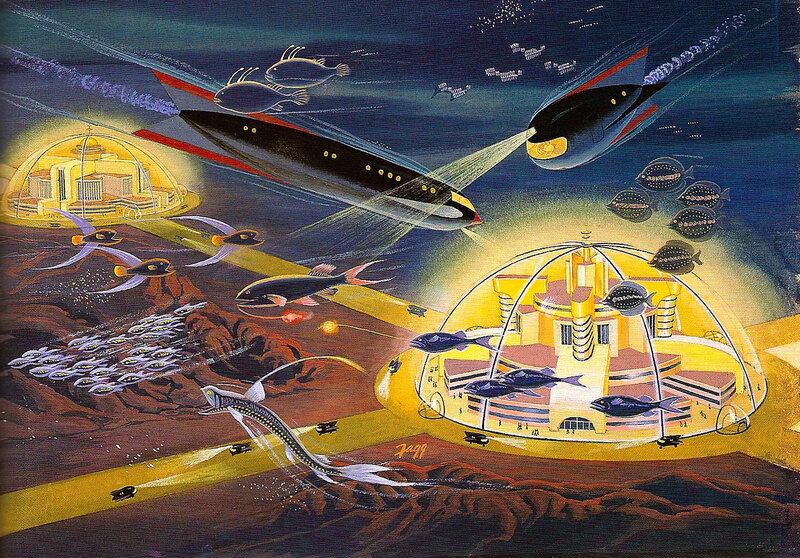 I just watched the public domain flick Atomic Rulers on Pub-D-Hub. 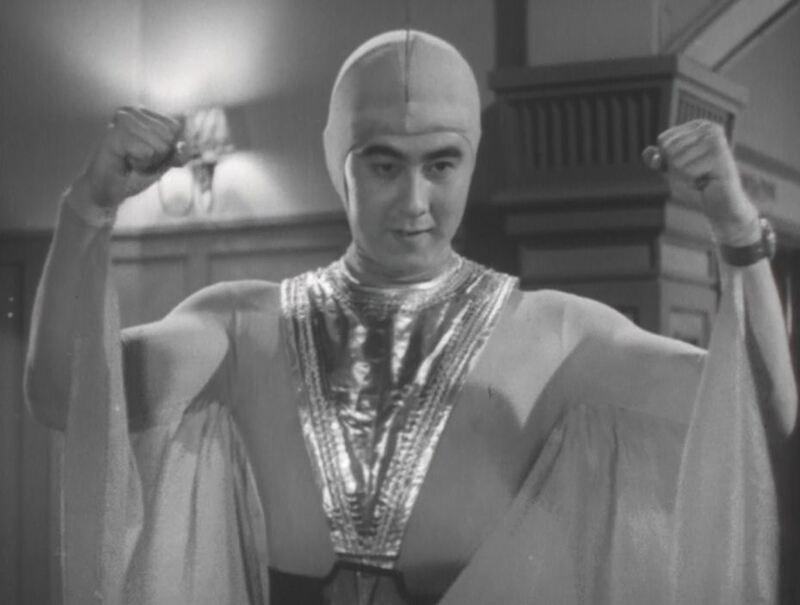 It’s a wonderful little dubbed Japanese film from 1965 about the superhero Starman. If you have an hour to kill and aren’t allergic to old special effects, I highly suggest it – most entertaining! Oh – and don’t be fooled by the intro music – you’re not in Mr. Rogers’ Neighborhood. Starman (known as Super Giant in Japan and Spaceman in France) is an android created by the Emerald Hierarchy (awesome name), who rule the Emerald Planet and do their best to keep the universe free of harmful radiation (yeah, apparently they’re not too up on their physics – still, they mean well). He derives his powers from his android body and from his Globemeter, a device he wears on his wrist. He claims to be the friend of all children, a claim which may one day bring him into conflict with Gamera. I was inspired reading Grognardia today, and decided to make up a relic. St. John the Enumerator was a blessed clark and keeper of accounts for the holy church of Nomo. After extended service, in which he kept the church’s accounts afloat even through the years of Pontiff Palaithian the Decadent. For his ability to keep the church in the black, he was named a saint and his abacus was declared a relic of the church. If only they knew how John kept the church afloat, the deals he made and the price he and others had to pay. The abacus is a simple instrument made of oak, copper shafts and glass beads. In the moonlight, a careful observer can make out tiny motes of dancing light within the beads. Within each bead is locked the soul of a young priest of the church, an innocent true believer murdered by John’s own hand and interred in the ossuaries in the catacombs beneath Nomo’s streets, never to be discovered. The abacus has ten rows divided into two sections. The larger section held five beads on each row, the smaller section held two beads. All of the beads are no longer remaining on the abacus. The abacus projects a protection from evil, 10′ radius effect that, unfortunately, in ineffective of any evil creature summoned by or connected with the abacus. It also creates a sanctuary effect in whatever building it is placed in, an effect which is also ineffective against evil creatures summoned by or connected with the abacus. Because of these effects, the abacus is believed to be a holy relic rather than an unholy one. 5. The remains of the victim whose soul is encased in the bead is animated as a spectre and seeks the toucher out to destroy them. If any of these effects kill the person, a pit fiend appears in a cloud of sulfur and blue fire and collects their body and soul. Lust: The target is struck as though by a suggestion spell with no saving throw. They feel the same lust towards the toucher of the abacus and must go to them that night to consummate their feelings. Once the act is consummated, this lust turns to repulsion. Jealousy: The target’s ability score most tied to the object of jealousy is lowered by 1d4 points and those points are transferred to the toucher of the abacus. The feelings of jealousy are now transferred to the target in relation to the toucher. Hate: The target is struck with mummy rot. As they slowly rot and die, the toucher is himself struck by a discoloration of the skin, which first turns yellowish, then mottled black and purple and finally a deathly white. When the person finally dies, the toucher returns to normal, but loses the ability to love or be loved. The beads can also be used in another way. Touching a bead, it can be used to cast a cleric spell of a level equal to the row number minus one. In other words, beads in row one can be used to cast 0-level orisons, while beads in row 10 can be used to cast 9th level spells. When this is done, the bead turns to dust and the soul is released from it with a terrible shriek. The soul then returns to its remains in the catacombs and animates them as a spectre to hunt down the user of the bead. Spells cast from these beads impose a -5 penalty to saving throws made against them. 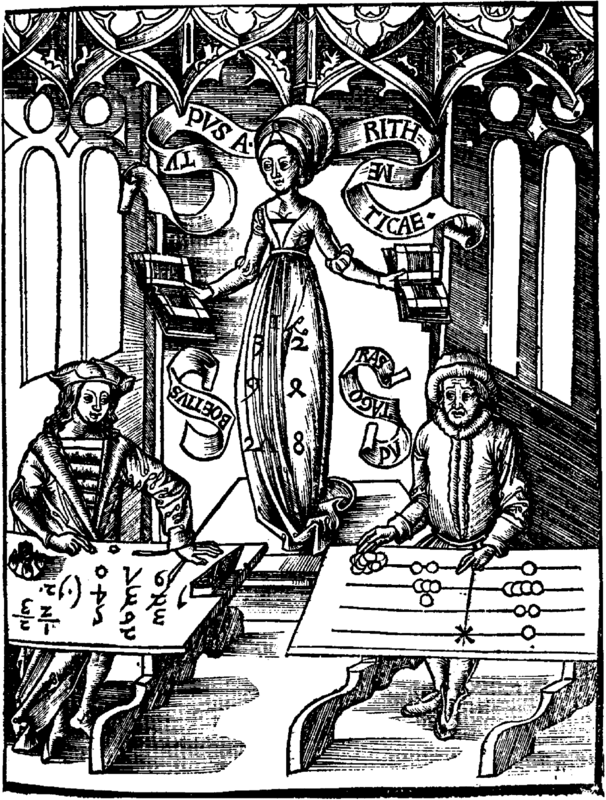 A lawful cleric using the abacus cannot remain lawful. With the first use, they become neutral, and with the second chaotic. A third use consigns their soul to Mammon, the arch-devil patron who helped John keep the church afloat all those years.